The 19th Plenary Assembly of the Network of Mediterranean Regulatory Authorities (MNRA) was held in Marseilles, in France, on 16 and 17 November 2017, at the invitation of the Conseil supérieur de l’audiovisuel (CSA). On this occasion, the members celebrated the 20th anniversary of the network. Nineteen member authorities from seventeen countries around the Mediterranean were present: the CRA of Bosnia – Herzegovina, the CRTA of Cyprus, the AEM of Croatia, the CAA of Andalusia, Spain, the CAC of Catalonia, Spain, the CNMC of Spain, the CSA of France, the GRA of Gibraltar, the NCRTV of Greece, the CCSB of Israel, the IMC of Kosovo, the CNA of Lebanon, the BA of Malta, the CCA of Moldova, the HACA of Morocco, the ERC of Portugal, the AVMU of the Republic of Macedonia, the REM of Serbia and the RTÜK of Turkey. Eleven of them were represented by their presidents. The National Audiovisual Institute (INA) and the Mediterranean Center for Audiovisual communication (CMCA) were invited as observers. At the opening of the meeting, the outgoing President, Josep Maria Guinart i Sola, a member of the Spanish CNMC, handed over the presidency of the network for one year to Olivier Schrameck, president of the French CSA. The general theme of the Plenary Assembly was “regulation to foster social cohesion within the digital environment”. There was a four-prong approach to this theme: the adaptation of audiovisual regulation, security and the media, media literacy and the protection of minors, and diversity in the media. Regarding the first point, the members discussed the current revision of the Audiovisual Media Services Directive, the issues of algorithms, the regulation of platforms, and the link between regulation, co-regulation and self-regulation. With regard to security and the media, the treatment of information in times of crisis was discussed. On media literacy and the protection of minors, recent national initiatives were presented. Lastly, the subject of diversity in the media was discussed in three dimensions: cultural diversity, media pluralism and image and how we see others. 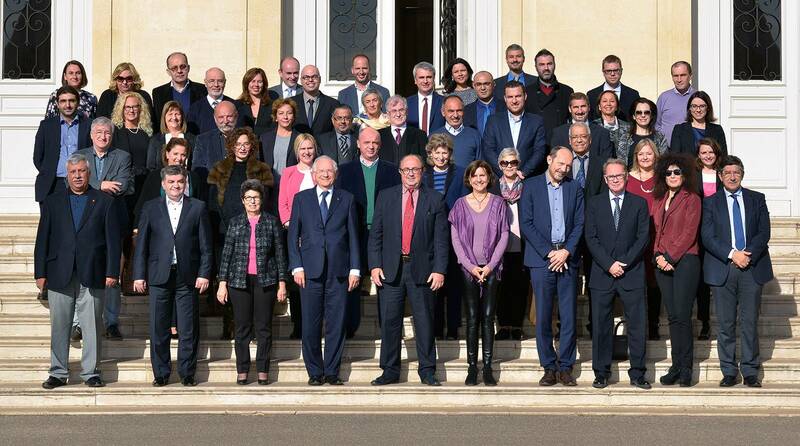 At the end of the meeting, at the initiative of the French presidency, the MNRA unanimously adopted the Marseilles declaration “For an overhaul of the audiovisual regulation in the digital environment” on 17 November. The member authorities commit to working for an audiovisual regulation adapted to the digital age and its democratic requirements, especially its objective of social cohesion. – making this work available to public institutions and regional and international bodies to feed their reflection of marseilles n the challenges of audiovisual communication in the digital age. The year 2018 will be marked by the organization by the Spanish CNMC of a workshop as a follow-up to the Barcelona Declaration of November 2016 on the treatment of information regarding the crisis of Mediterranean refugees and migrants. In addition, at the initiative of the Moroccan HACA, and with the strong support of the French Presidency, the network undertook to promote the role of audiovisual regulators in the field of gender equality by participating in the 62nd session of the Commission on the Status of Women (UN Women) in March 2018 in New York. At the same time, the MNRA “Gender and Media” working group will continue its work on the theme of gender violence, under the joint responsibility of the Portuguese and Catalan authorities. In the course of the year 2018, the president of the MNRA should also meet the presidents of other audiovisual regulators’ networks to discuss the common issues of regulation and how to adapt it to the digital age. At the end of the Plenary Assembly, the incoming vice-presidency was entrusted for one year to the Catalan CAC (Spain), a founding member of the network, chaired by Roger Loppacher i Crehuet. The CAC will organize the 20th Plenary Assembly of the MNRA in autumn 2018. The outgoing vice-presidency is exercised by the Spanish CNMC. Lastly, it was on the occasion of the Plenary Assembly of Marseilles and the 20th anniversary of the network that the new website of MNRA, developped by the French CSA with the support of the Moroccan HACA, was presented and inaugurated. It highlights the modernized logo of the network. © 2017 RIRM. All rights reserved.